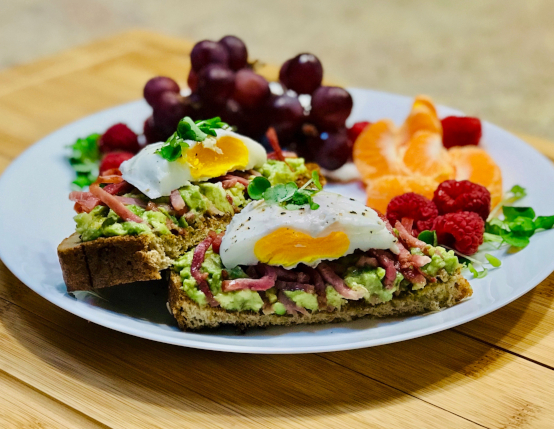 Crispy ham, crunchy bread and creamy avocado blend perfectly in this easy-to-make breakfast favorite that also happens to be healthy, protein-packed and delicious. 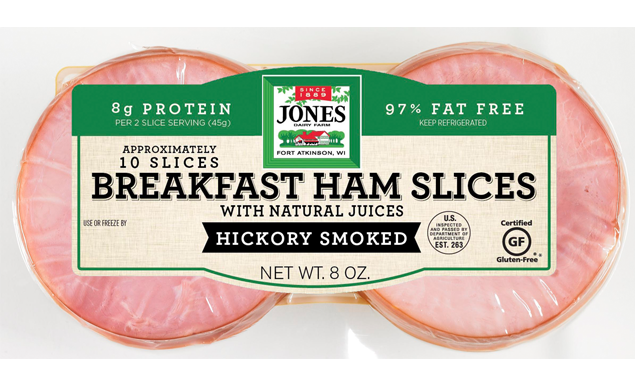 Cut ham into thin strips. Melt butter in skillet over medium-high heat. Once melted, add ham strips and fry until crispy, about 3-4 minutes, stirring frequently. Transfer to paper towel lined plate to drain. Wipe out skillet. Add water and vinegar to skillet. Bring to a boil and then reduce heat to a simmer. Crack one egg into small dish or custard cup. Carefully tip cup to slide egg into skillet. Repeat with remaining eggs, spacing them so they don’t touch. Simmer, uncovered, until whites are completely set and yolks begin to thicken, about 3-5 minutes. For runny yolks, cook only 3 minutes. For firmer, more set yolks, cook closer to 5 minutes. While eggs cook, toast bread. When cooked to desired consistency, use a slotted spoon to transfer eggs to plate to drain slightly. Sprinkle with salt and pepper. Spread mashed avocado evenly among four slices of toast. Top each piece with crispy ham strips, one poached egg and a dash of hot sauce. Garnish with microgreens or fresh herbs, if desired.